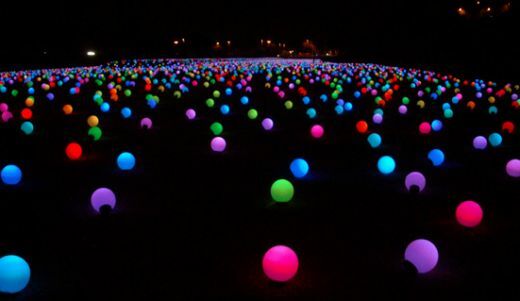 Artist Giancarlo Neri has put together this stunning installation which places 10,000 individual colored LED orbs in a field. 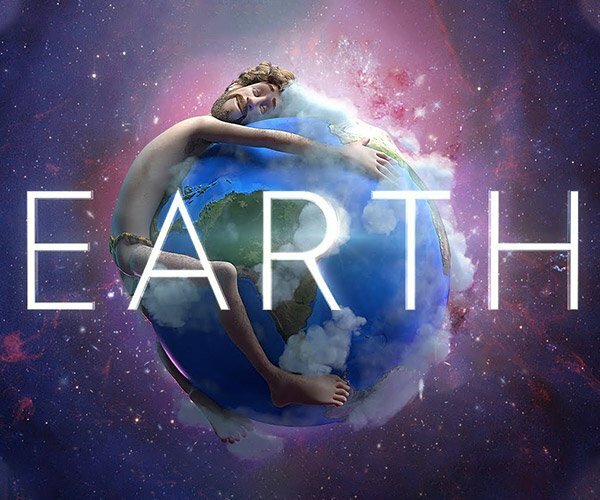 Each sphere gradually cycles through colors, creating a beautiful, dramatic vista. While the illuminated globes are absolutely stunning by night, they’re equally as interesting when turned off during the daylight hours. 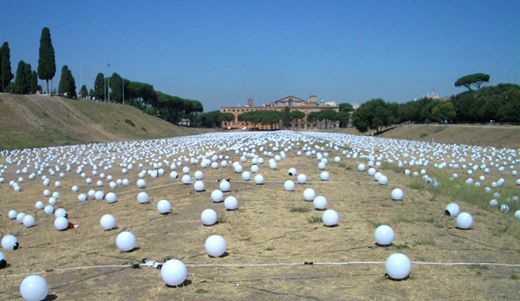 The installation, entitled Massimo Silenzio (Maximum Silence) is currently in place at the Circo Massimo in Rome, Italy, and will continue to be on exhibition through September 11th. If you happen to be in Rome for any reason, you should definitely check it out. I’m hoping the Google Maps satellites manage to snap a shot of these before the exhibition ends.